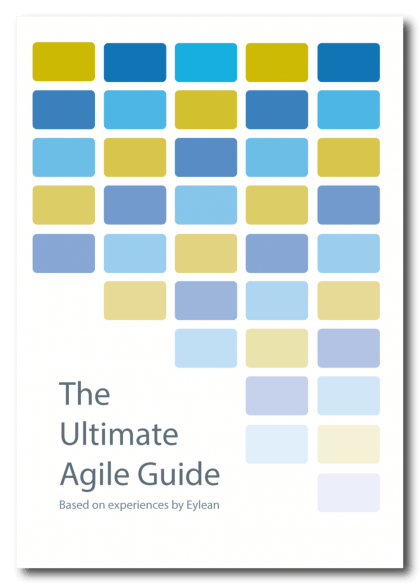 In the growing popularity of Agile, there have been numerous attempts to scale the practice and make it fit the large company structure. SoS, LeSS, SAFe, DAD and many more attempts to modify Scrum, Kanban and other methods. However, when doing so it becomes easy to lose their essence. Thus coming up with practices that carry only some of the original points and benefits. 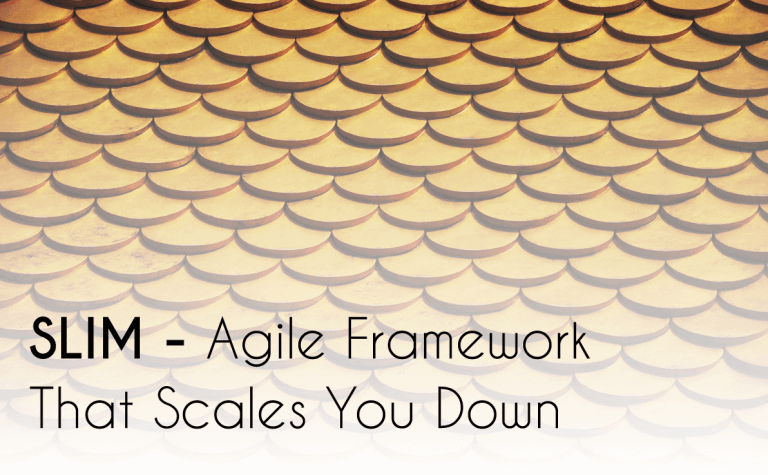 The question is – should we actually be scaling Agile up? A Sam Laing’s framework by the name of SLIM says no. Scrum Lean In Motion or SLIM has one clear message – you should not be scaling Agile up, but instead scaling your organization down. In the age of scaled Agile approaches this mindset may seem outdated. And you have a full right to keep that mindset. But before you turn this page off, let me tell you the three very clear benefits of keeping thing SLIM – improved collaboration, simplicity and no new framework implementation. This framework doesn’t invent new Agile terminology to ensure it fits your large company structure with multiple layers and management. No, instead it says that the most effective communication is between smaller groups of individuals and your company should be organized in the same manner. Think about it, no matter how big the organizational structure gets, employees tend to only communicate with the people closest to them. And in the case of a large structure, those are usually their peers and not necessarily the people working on the same project. So would it not make sense to organize your company around the projects and products instead of the management layers? It can and would actually benefit you in the long run. First, by reorganizing your company according to the projects, you would ensure that people who work together can communicate easier. If you have a very large organization running large projects, you should not stop there and group people together further more. Based on their functions and project features they are responsible for. This way improving their proximity to the most important colleagues and making collaboration much easier. Think such change would be difficult to implement? Think again – your work is already organized around projects or products. Thus you already have this structure in place at some level, all you need to do is make it physical. Collocate people working together and separate those that don’t – it is quite simple. Yes, some may lose their office buddies, but they can always meet up in the break room! Lastly and most importantly, this way you won’t need to learn and implement any new Agile framework. By keeping your teams small, you can stay with the one you are using currently. The only exception being the top tier management (which is a small team of their own) that can decide the best approach for their operations. Scaling Agile up can be a great solution for organizations willing to spend time and money on learning a completely new approach. But it is not the only way to use Agile in a large organization. Organize your teams around the work you do instead of a power structure and keep using the small approaches.